Here I was, working away, blissfully oblivious to the goings on around me, when I received this image in my inbox. 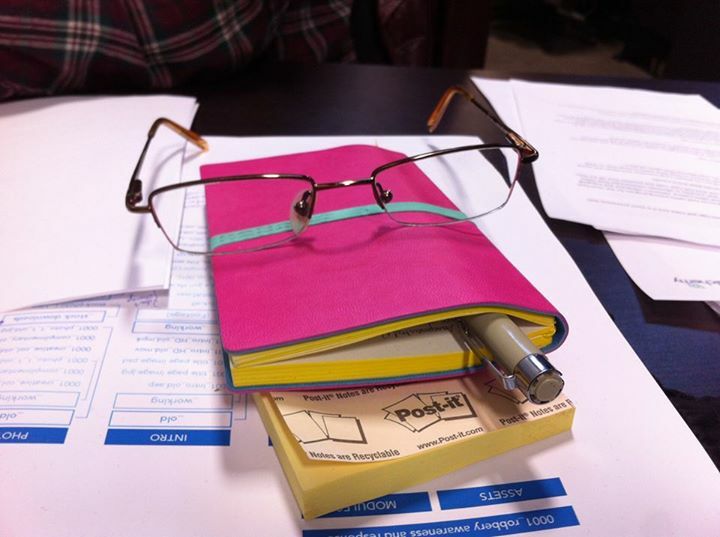 It seems my desk-mate noticed my glasses on top of my notebook and thought it was funny – so he wanted to share his view. Well, when I saw that photo in my email with no message I laughed out loud. I pulled off my headphones and told him that was funny.